I have worked in real estate since 1996. During this time, my life has been touched in many ways by the industry. For starters, I have the privilege of working with so many exceptional individuals and helping them see how incredible they really are. In turn, these experiences sparked my motivation to create Buy Smart Sell Smart; an effective system that places YOU in control and helps determine your real estate success. Clients using this system receive exceptional results at every level of the buying and selling process. The method behind this system is simple: education fosters sound decision-making. This means, you alone have the power to make informed real estate decisions that best suit your interests. If you’re ready to make an informed and intelligent choice when it comes to buying or selling your Edmonton home contact me. Together we can transform your life! When choosing the right REALTOR®, one of the factors you must take into consideration is their area knowledge. I was born and raised in the City of Edmonton and currently reside south of the river. As a native Edmontonian, I have developed a deep understanding and appreciation of our city. 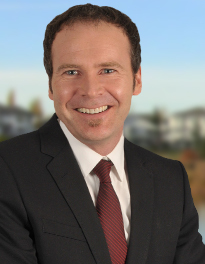 Over the years I cultivated my neighbourhood knowledge, then combined it with my real estate education and experiences— so I can provide my clients with the best possible service. As a result, I’ve worked with homeowners from Sherwood Park, St. Albert, and all over Edmonton. I strongly believe in loyalty, honesty, and reliability. As such, I actively invest my time and money to ensure all of my clients receive an outcome that is in their absolute best interests. When you love your work as much as I do it shows! Feel free to look through my website and read the testimonials from my past clients. When you are ready to begin your next real estate adventure give me a call.